A wonderfully convenient way to build a fusible color palette! The Fuseworks Glass Fusing Kit is ideal for the beginning glass artist, for experimentation, and for jewelry projects. 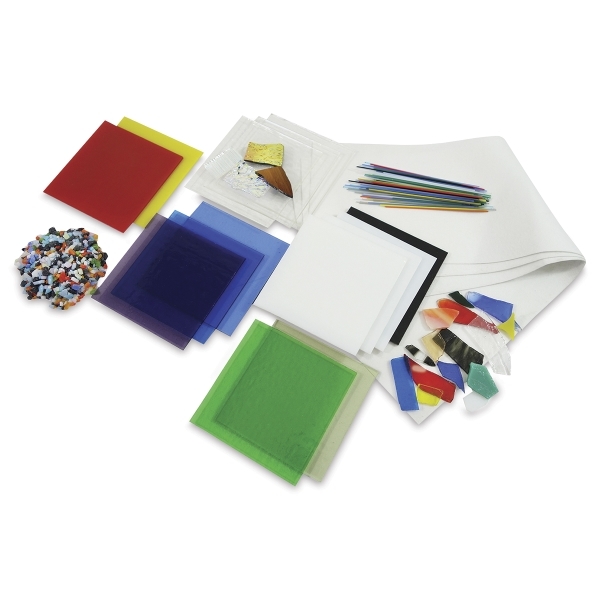 It contains a variety of fusible glass sheets, frit, dichroic scrap, stringers, and more. All glass is COE 90.